"Often in our most difficult times the only thing we can do is endure. We may have no idea what the final cost in suffering or sacrifice may be, but we can vow never to give up. In doing so we will learn that there is no worthy task so great nor burden so heavy that will not yield to our perseverance. We can make it. 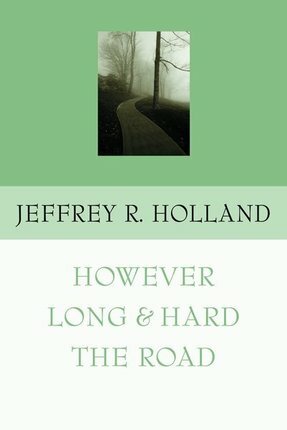 . . however long and hard the road." So writes Elder Jeffrey R. Holland, a member of the First Quorum of the Seventy in The Church of Jesus Christ ofLatter-day Saints. 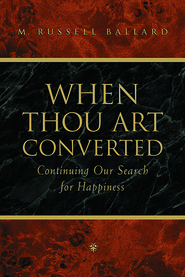 The chapters in this volume, messages of hope and comfort, have been adapted from addresses given and essays written by Elder Holland during the time he served as president of Brigham Young University. "All of my professional life has been spent with young people," he explains, "and universally they (like the rest of us) have needed support, encouragement, reassurance, and confidence. They have, in short, needed hope — that incentive to keep moving, keep trying, and keep believing until hope's sister virtues of faith and charity can also work their miracles." 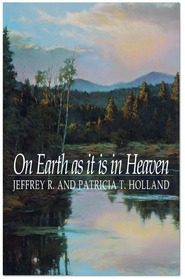 Elder Holland illustrates his messages with examples from classical and current literature, from the lives of individuals in the scriptures and in church history, and especially from the life and teachings of the Lord Jesus Christ. He explains how others have overcome temptations and feelings of inadequacy and, through repentance, have obtained forgiveness and strength — and how we too may find success in our own searchings. . . however long and hard the road. This is a book that every member and especially every disaffected member or someone who says "I'm not a practicing Mormon any longer" need to read. It will re-awaken those long ago forgotten feelings that once found home in the heart of a true believer---a child of our Heavenly Father. Very, very good book to read that strengthens faith and helps in times of trouble. Jeffrey R. Holland is an amazing speaker and writer. Recommend it to anyone who wants/needs some guidance. Nice, short, and sweet.